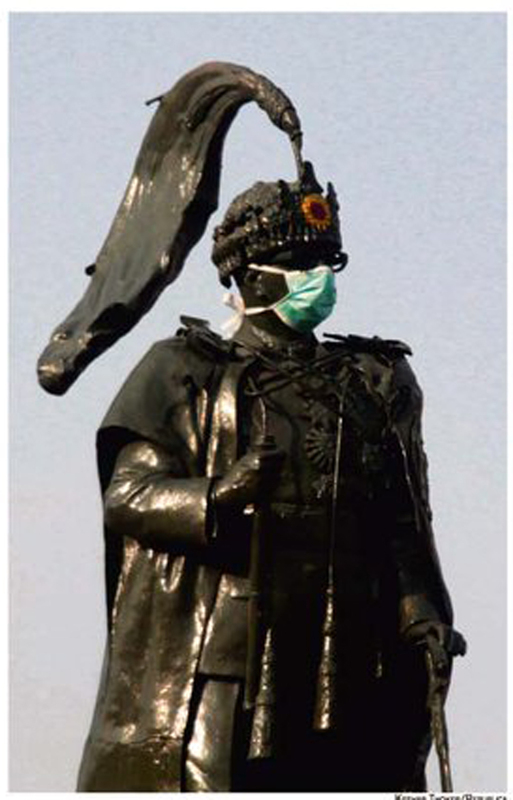 LALITPUR, Feb 5: Third series of Maskmandu campaign is going to be launched here from February 8 with an objective of creating public awareness against pollution of Kathmandu valley as well as to exert pressure on stakeholders. The campaign is to be launched pointing out the need of collective initiative for reducing air pollution, saying air pollution of Kathmandu Valley has been making adverse impact on people's health and environment. The campaign is going to be launched at the activeness of Clean Energy Nepal. First and second series of Maskmandu campaign were organised in Kathmandu in 2016. Various programme would be organised at different places of Kathmandu Valley under the campaign. Rajan Thapa of Clean Energy Nepal said that they are going to give continuity to the campaign under the slogan 'I love my lungs' to exert pressure to make Kathmandu Valley clean. Air quality in Nepal is the worst in the world, with the country being ranked at the bottom among the 180 countries surveyed in terms of air-quality in a global study. Nepal was ranked the last for air-quality among 180 countries, according to the recently released EPI report which highlighted air pollution as a leading threat to public health.